It is horrible to hear scraping sounds every time you try to open your residential roll up garage door or overhead door. The good news is that the noise can be reduced to a great extent. You just need to identify what is causing it and take appropriate action. Here is some useful advice to help you with the troubleshooting. 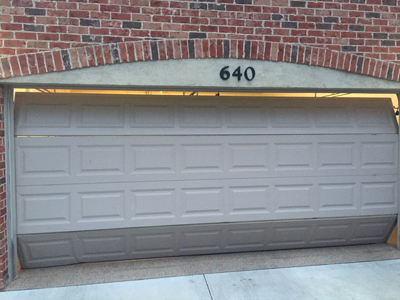 The first thing which you need to do is to check the garage door tracks for obstruction and bending. These are among the most common causes of scraping sounds. In such cases, the door does not move properly either. While dirt or pebbles obstructing the door can be removed, the bending requires repair. In some cases, the track will have to be replaced. The problem may be caused by the garage door rollers and hinges. If the holes of the hinges which house the stems have got worn out, the sound may come from the movement of the rollers. The holes should be perfectly round. If they are oval, they will have to be replaced. Rust is another common cause of the horrible sounds. It can be caused by a rusty garage door spring, tracks or rollers. It is also possible for the opener's chain or screw to have got a bit rusty. In such cases, the rust has to be removed with a proper solvent and then lubricant has to be applied. The specialists of our garage door repair company in Queens recommend replacement of the parts which have started to corrode. This will not only make the door quiet again, but it will help to prevent more serious issues. This solution is cost-efficient as well as practical. 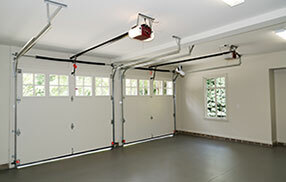 You can readily find garage door parts which match your requirements and budget. You should definitely consider parts which are especially designed to be quiet such as the nylon rollers which are now easily available.